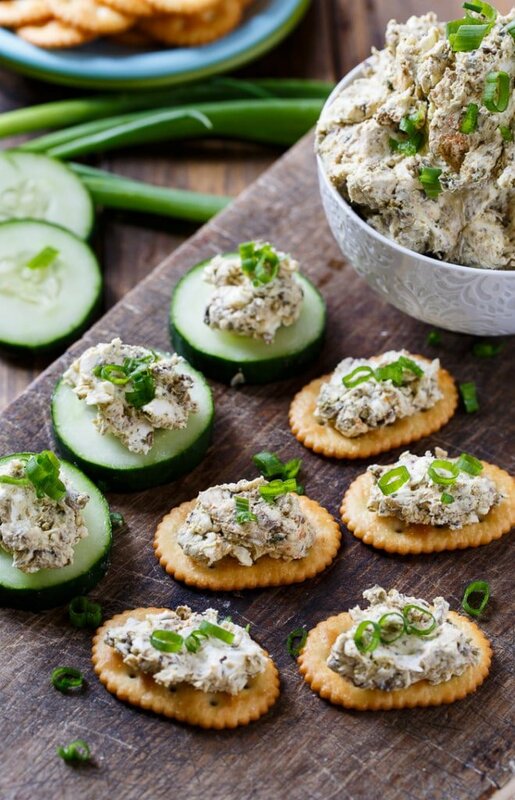 A simple Smoked Oyster Spread makes an easy and flavorful party appetizer. It’s creamy with plenty of smoky oyster flavor. 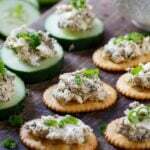 Tastes great served on crackers or cucumber slices. 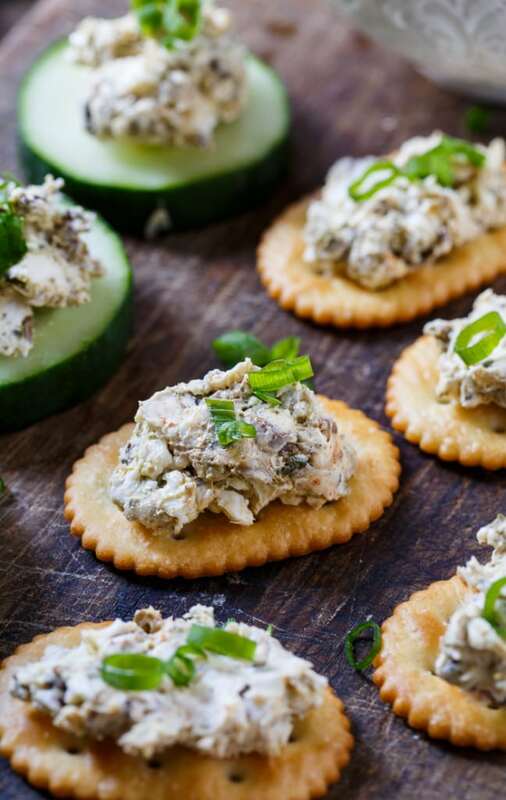 Smoked Oyster Spread is made from only 4 ingredients and it is simple to throw together for a party. 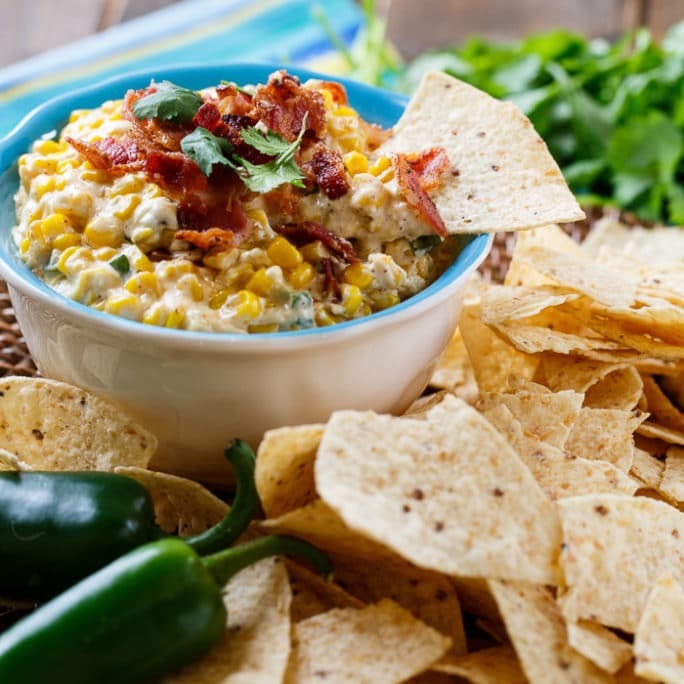 It may not be the prettiest of dips and to be honest, not the most popular of dips or spreads. Smoked oyster lovers seem to be few and far between. Personally, I like oysters any way I can get them- raw, smoked, steamed, or fried. I never met an oyster I didn’t like. 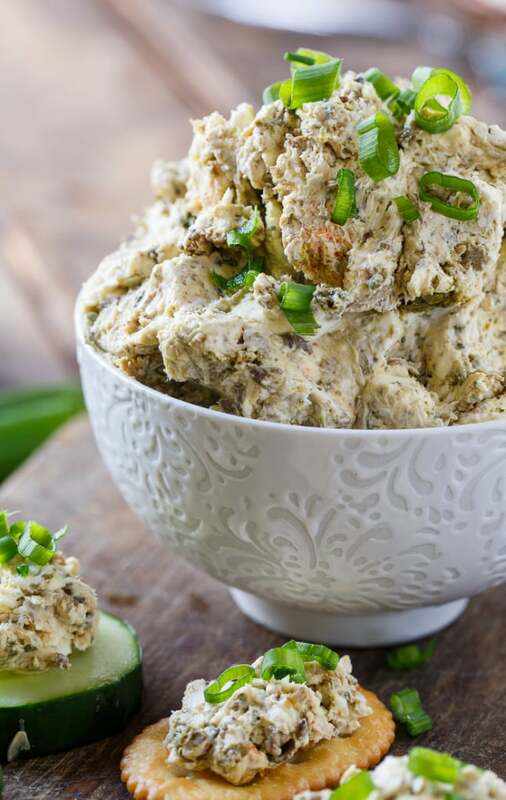 Just mix a can of smoked oysters into a block of softened cream cheese and add a little Worcestershire sauce and cayenne pepper. I add just the oysters and once it is all mixed together, I usually add some of the oil that the oysters are packed in. 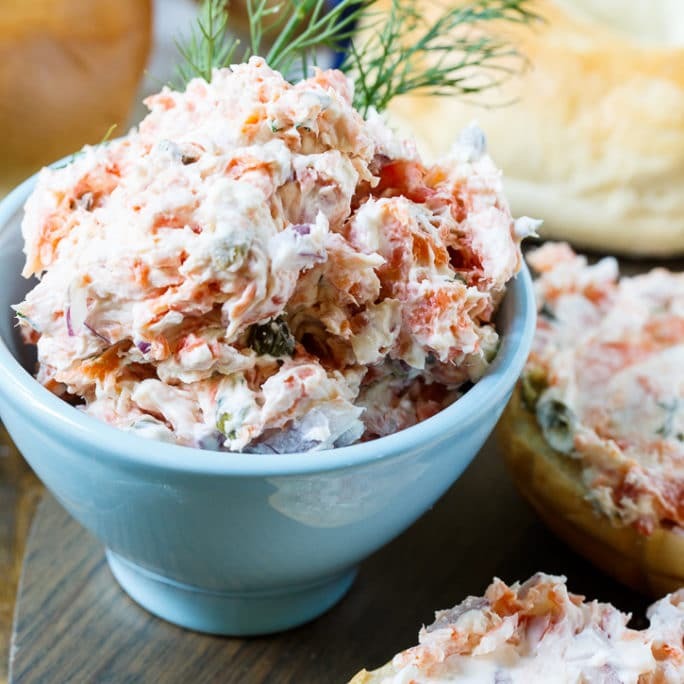 It makes for a thick and super creamy spread with plenty of smoky oyster flavor. 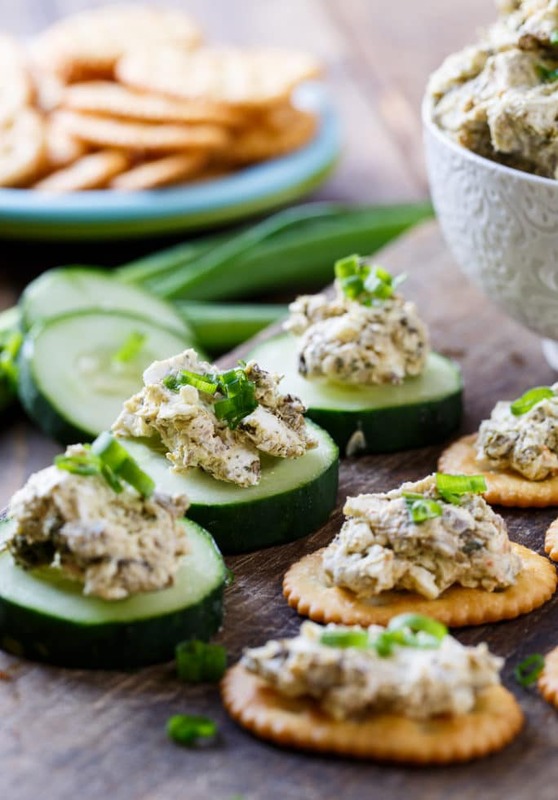 Smoked Oyster Spread makes a wonderful spread for holiday gatherings and summer entertaining. I love that it can be prepared in advance and just set out with some crackers for an easy, fuss free appetizer. 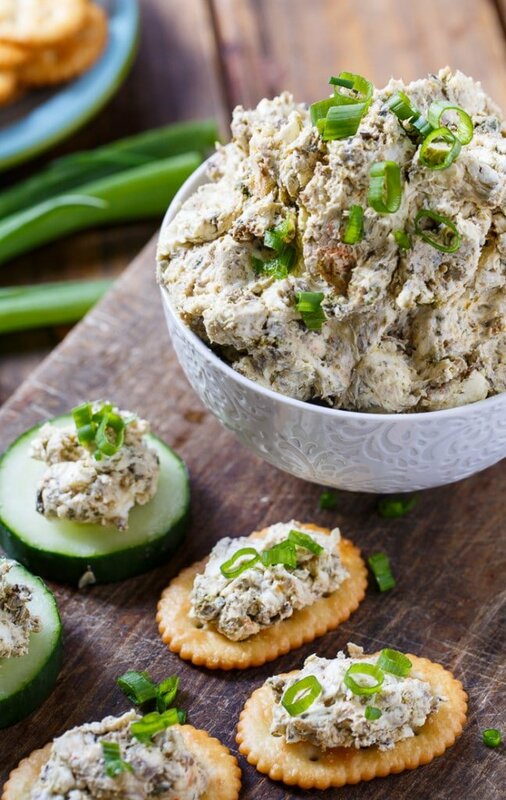 A simple smoked oyster dip makes an easy and flavorful party appetizer. Place cream cheese in a medium bowl. Add smoked oysters, Worcestershire sauce, and cayenne pepper. Serve with crackers and/or cucumber slices. This entry was posted in Appetizers and tagged oysters, seafood. Bookmark the permalink. I loved this. I whipped the cream cheese with liquid from oysters, Worcestershire and cayenne. Folded in oysters so they remained whole. 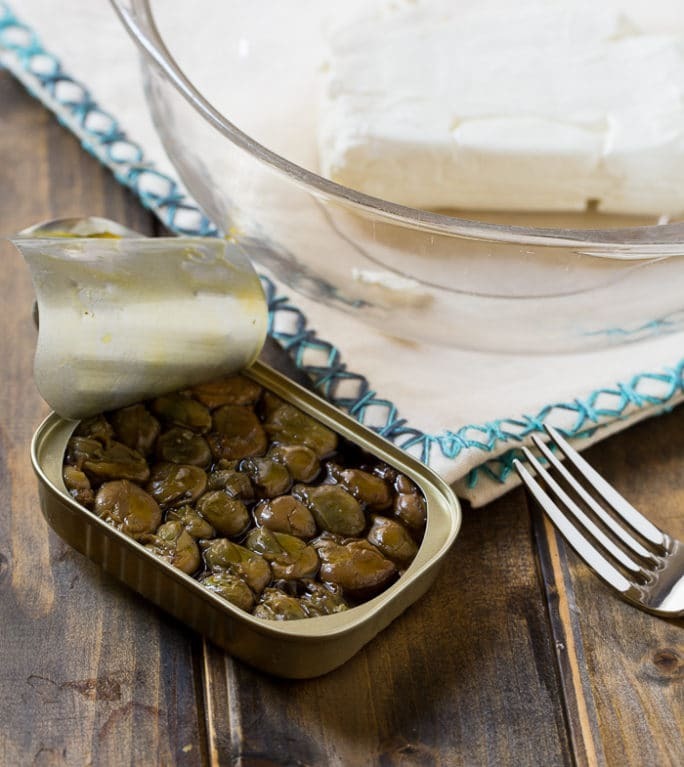 Great with capers and chopped onion on a bagel for Sunday brunch. Can’t wait to try this, on a quality cracker or cucumber slice, topped with a sliced black olive. Yum! Added some chopped garlic and a dash of Italian seasoning …loved how the tastes blended. Delish !! Hubby and I and both millennial sons love oysters all ways, especially smoked. Can’t wait to try this recipe at Christmas, I know it will be a hit. The chopped scallions pictured make the spread much prettier. Plan to use them. Do the oysters get chopped? And, type of oil they are packed in matter? The type of oil doesn’t matter. No need to chop the oysters, but they will get mushed up as you stir it. Having right now with a cold glass of Chardonnay! Thank you!!!! Oh what a creative recipe! I’ve never had oysteres in a spread like this before. This sounds delicious!